Guitarist, Songwriter, Theorist, Educator, PhD Researcher, RGT Tutor. Nassos is a guitarist, songwriter, multi-instrumentalist, educator, music theory nerd and PhD researcher. He has studied electric guitar and music theory with Pantelis Gertsos (guitarfor --> musicfor) up to the point that he passed the Associate Diploma of the London College of Music in Music Teaching with distinction. He also attended Musical Praxis Conservatory to study traditional harmony & modern composition with Nikos Panagiotakis, vocals & piano with Lia Hide and jazz harmony with George Argyropoulos and he successfuly completed his Harmony Degree. Occasionally, he had acoustic guitar and songwriting (applied guitar) lessons with Max Milligan. 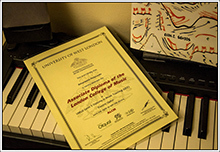 He holds a Master's Degree - MMus in Songwriting - from Bath Spa University, under the tuition of Davey Ray Moor. He's currently working towards his PhD, under the supervision of Davey Ray Moor and Dr Amanda Bayley. While his main instrument is the guitar, he's always enjoying playing other instruments, like ukulele, blues harp, piano, bass guitar, banjo, lap steel guitar, baglamas, tzouras, stylophone, bouzouki… In any case, the sound is what matters the most! In 2011, having already passed his grade 8 in Electric Guitar and Popular Muisc Theory, Nassos became accepted for music studies by several Universities in London, but he had to decline all the offers. Thus, he attended Trinity College of Music Jazz Summer School where he enjoyed Pete Churchill's classes. The same year, Nassos started working as an administrative assistant in LCM and RGT examinations representative office in Greece. During the same period, he started working for guitarfor. He has undertaken the promotion, online publishing, photo shooting, web design and he has contributed in organising concerts and seminars with musicians like Larry Goldings Trio, Kurt Rosenwinkel New Quartet, Larry Carlton, Adam Levy, Jonathan Kreisberg Quartet, Paul Gilbert, Al Di Meola, Andy McKee, to name but a few. In addition, he has studied Computer Science in University of Athens, which is a four-year B.Sc. (Hons) Degree, and submitted his Thesis on "An iOS App for Improving the Auditory Perception". Between 2008 and 2009 he studied Telecommunications Engineering in Aalto University in Helsinki as an Erasmus student. In 2014, he was accepted to study Songwriting as a postgraduate student at Bath Spa University. The MMus Course Director and main tutor is Davey Ray Moor (CousteauX), but other lecturers also include Joe Bennett PhD, Richard J. Parfitt, Emma Hooper PhD, Cliff Jones, Nigel Clark (Dodgy), Jez Ashurst, Julianne Regan (All About Eve), Lucy Ray, Fran Smith and Simon Drake. In 2015, he was selected to participate in Global Academy of Liberal Arts Conferences in Beijing. During his stay in Beijing, he studied New Media & Communication and Chinese Culture at Communication University of China. Subsequently, he also started teaching Songwriting in musicfor, electric & acoustic guitar in the National Conservatory of Athens - Annex of Dionysos and ukulele in Diesi Music School. In November of 2015, he started the Sakké ConQuéso project with Ioannis Sakketos. This is a completely DIY project in which they are creating an album all alone. They have already released 4 singles: Dark to Bright (2017), I Love Austerity (2018), Uncannily Alike (2018) and Healing Without You (2019). All musical compositions, lyrics, playing, recording, production, mixing, and even the artwork are made by the 2 musicians. In May of 2016, Nassos received an Offer of Admission for a PhD Fee Waiver Studentship, which is given to the maximum of 10 applicants, regardless their field of study. Consequently, he has registered to study for a PhD in the College of Liberal Arts with the proposed thesis title "Sociocultural & musical characteristics of Rebetiko & Blues and their hybrids". In January 2017, Nassos released his first single Under the Endless Sky, under the pseudonym Nassos Conqueso. 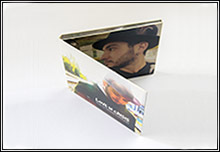 In March 2017, he released his album Love in Crisis, which is also available in Compact Disc. He's responsible for music, lyrics, arrangement, production, vocals, piano, ukulele, baglamas, tzouras, harmonica, guitar, stylophone and programming. At the same time, he became the 6th member of Bound Affairs as an acoustic guitarist and keyboardist, until September of 2018. In September of 2017, he started his collaboration with Music Studies Palaio Faliro, where he's the main teacher of electric & acoustic guitar, ukulele and music theory. In September of 2018, he successfully passed his PhD Progression Assessment, and once again met Pete Churchill at the Royal Academy of Music for an interview in advanced music theroy and harmony. In addition, he has attended over 75 seminars and master classes of great musicians, like: John Scofield, Jonathan Kreisberg, Guthrie Govan, Theodore Antoniou, Larry Carlton, Kurt Rosenwinkel, Pete Churchill, Greg Howe, Peter Bernstein, Bill Stewart, Paul Gilbert, Adam Levy, Dave Cliff, Theo Kapilidis, Nikki Iles, Dimos Dimitriadis, Stef Burns, Yorgos Kertsopoulos, Doug Aldrich, Takis Barberis, Yiotis Samaras, Trifon Koutsourelis, Sotiris Pomonis, Konstantinos Mitropoulos, Elias Tsangaris, Fani Kosona, Antonis Antonopoulos, Anastassis Philippakopoulos, Leonidas Vrahatis. He is an official member of IASMP (International Association for the Study of Popular Music), RMA (Royal Musical Association), SMA (Society for Music Analysis), PRS (Performing Right Society), PPL (Phonographic Performance Limited) and RGT (Registered Guitar Tutor). What is a songwriter; History of songwriting focusing on Greek songwriters. How music & lyric writing & performance work together; techniques, exercises. Practice: each attendee writes on specific lyrical themes, rhythms or texture. in stages like Gazarte, Michael Cacoyannis Foundation, Stavros tou Notou, The Zoo, etc. − Blues Guitar Masterclass with Kirk Fletcher, JAM pedals Showroom. − Online Music Teaching (Webinar) with Susan Hickey & Merv Young, Go Create Academy. − Practice-Based Methodologies and the PhD Researcher with Sabrin Hasbun and Elen Caldecott, Corsham Court, BSU. − Developing Yourself as a Researcher with Dr Giles Martin and Dr Jasmine Hunter-Evans, Corsham Court, BSU. − Hearing protection – the sound engineer’s perspective with Dimitris Dimitriades, May 2017, Ippokrateio General Hopsital, University of Athens. − Hearing protection from music for musicians with Katerina Vardonikolaki, May 2017, Ippokrateio General Hospital, University of Athens. − Neurology: Brain and Music with Dr. Constantin Potagas – Athens Medical School, UOA. − Adventures in Creative Computing with Professor Andrew Hugill, Oct 2016 - Bath Spa Uni. − The Publisher’s Perspective with Hugo Turquet (BMG), Jan 2016 – Corsham Court, Bath Spa Uni. − History of the Blues with Paul Trynka (Mojo Magazine), Sep 2015 – Corsham Court, Bath Spa Uni. − RGT Ukulele Exams Official Lunch with Tony Skinner & Pete Farrugia, Sep 2014 – RGT Confer. "Anamesa Festival", Musicfor music school, "Anamesa mas", etc. Copyright (c) 2013-2019 Nassos Polyzoidis. All rights reserved. | Design by FreeCSSTemplates.org & Nassos Polyzoidis.